Run to death by sleds. Baie St Paul area. What is wrong with people? To chase this moose till it dropped from exhaustion. 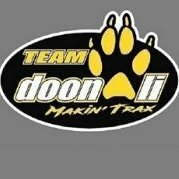 Great way to represent the sport of sledding. Bravo Champion. not much between the 2 ears for those guys who ''pushed '' that moose to death!!! so very true. Makes me very angry. If i ever see that happening, gonna be problems, for that person. 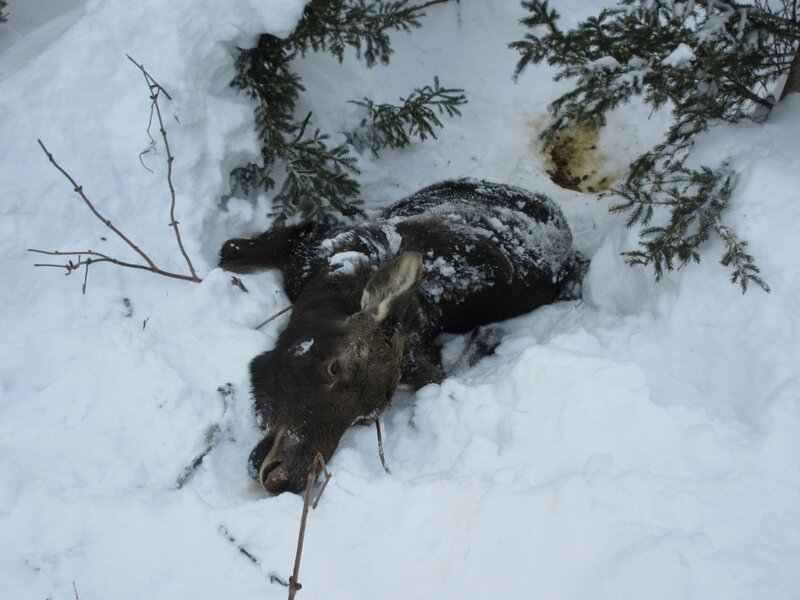 Won’t be the moose laying on side of the trail, this i can promise you.. I'm with ya Ice. Infuriates me!!!! duniere reserve .....don t know exactly where !!! I am not sure what my reaction would be if I was witness to this BS, but I do know it would be their very last deed, no way they ride away from this, can't find the words to say how truly disgusting this is, hope they are found and hung!! 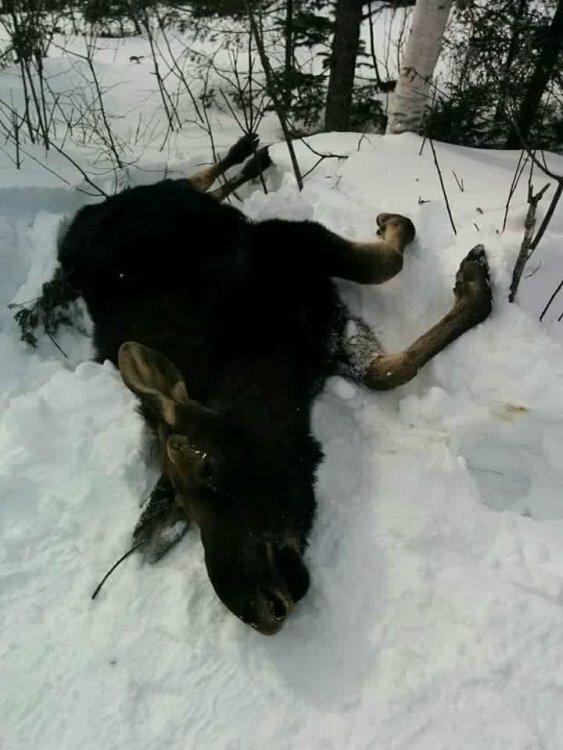 J G did you hear anything about the baby moose hit by a sledder on the 595 above La Cache? Mother blocked the trail 3-4 weeks ago. I saw the carcass on the side of the trail, where the stream is full of tracks beside the trail. Guess the wolfs got it. yes quebec bob ....you never know which directions they are going to take.. Saw that too. No wolves yet. Pretty sure it took its last breath as i got there. The mother would not move away from her young and blocked the trail. Somebody on a skidoo expedition made a way around the mother thru the woods, so folks could pass. Somebody at the Quality in Matane had a vid on his phone of the 2 animals. Some friends from 1000 islands Trenton Ont , got charged by a Moose in the same spot (a week before this death). Moose smashed the hood of a new 18 850, and his hoof nicked my friends helmet. Then (lucky) left + moved off the trail. Very common in northern Maine to see moose on the trail at night. They love the hard pack trail for easy going instead of chest deep snow. And dont like to move off it, easy for them to feed. Piss Em. off they will charge. We are guests in their domain, never forget that!, Moose are very unpredictable, widely considered more dangerous than bears in Alaska. Pedestrians have the right of way, animals have the right of way on the trail. 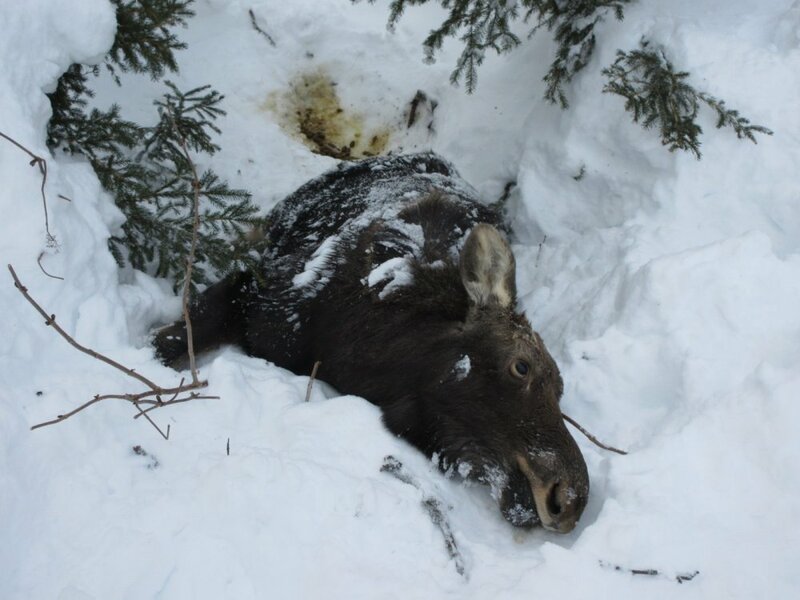 Do not get close to moose on the trail, let them have their space and all the time they need or want, IT REALLY BREAKS MY HEART TO SEE THESE ANIMALS DIE AT THE HANDS OF ANYONE WHO DOES NOT RESPECT THE INCREDIBLE NATURAL BEAUTY AND SURROUNDINGS, THIS IS NOT SUPPOSED TO BE THE PECKING ORDER WHERE WE INVADE THEIR SPACE AND RUN THEM WITH SNOWMOBILES, A TOTAL DISGRACE!! Believe it or not, a lot of folks who have never seen a moose in person do not know that they will run till death if followed by a sled. Hopefully this thread will educate a few. I am sure though that most if not all on this forum already know this. i tried to find the pics ...but no luck ..
i guess i spent close to 1.5 hrs with the moose....lost sight of him going down long hill before st fidele cb !! !